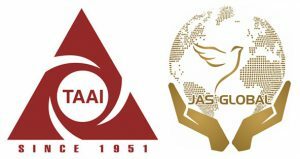 Assemble at Trichy Airport by 8.00 pm. Fly by Malindo Airlines to Kuala Lumpur. Fly by Malindo Airlines to arrive Yangon by 11.45 am. After Lunch at Indian Restaurant Transfer to Hotel and Check-in. In the afternoon visit the 70-metre reclining Buddha at Kyaukhtatgyi Pagoda and the gleaming royal barge at Kandawgyi Park. 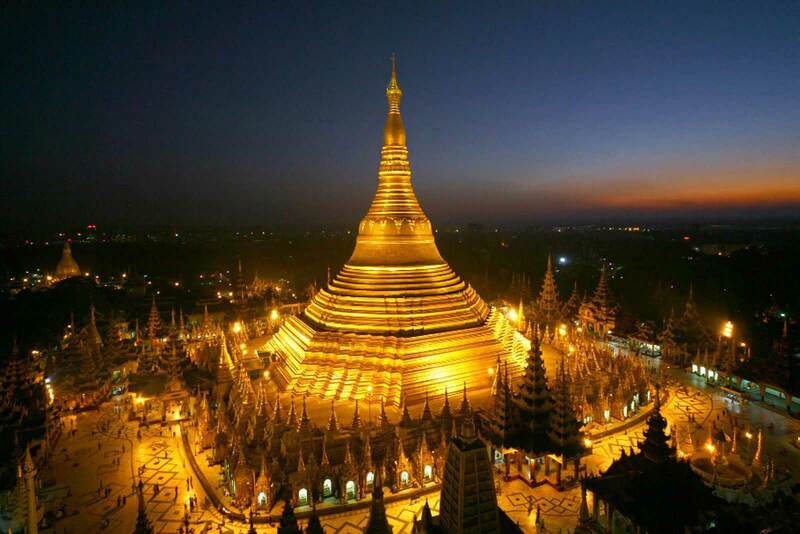 Later in the evening visit the most religious place Shwedagon pagoda where you will gaze in awe at the 100-metre gold-covered chedi and back to Hotel. Morning fly by YH 909 to arrive Bagan by 9.00 am. Visit the famous morning market Nyaung Oo Market. 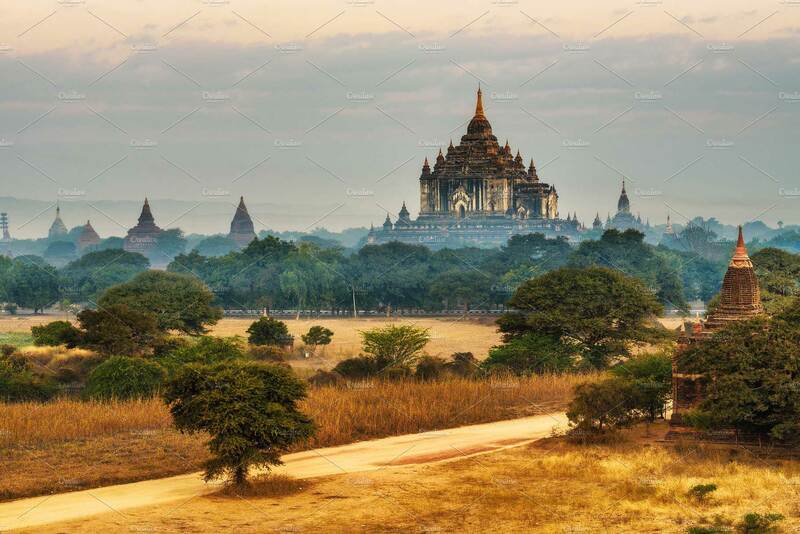 Then proceed to renowned Shwezigon Pagoda, built in 11th Century and Explore the village by walk through a series of smaller monuments which allows for a unique perspective of Bagan. Check-in in the hotel. In the afternoon, continue your journey by horse cart for an excursion that passes Thatbyinnyu, the tallest temple in Bagan, gigantic Dhammayangyi Temple noted for its remarkable brickwork, and Sulamani Temple. Morning to travel to Royal Mandalay and pass the Countryside fields of toddy palm tree, millet, sesame, cottonseed, corn, rice and many other vegetable. Among the different roads between Bagan and Mandalay, the one passing through Myingyan is the most attractive. You will have time to take a break at both Shwe Pyi Tha village and Myingyan. Walking around the farmers’ village of Shwe Pyi Tha will give you the opportunity to meet with villagers and learn about their daily life. Check-in in the hotel for 2 nights stay. 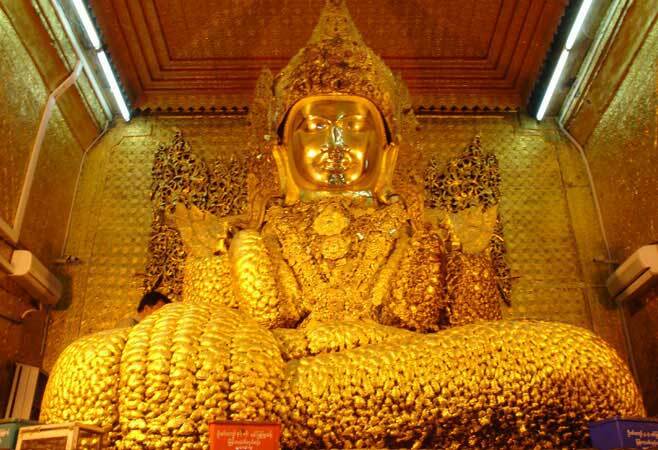 In the afternoon visit Mahamuni pagoda completely covered in gold leaf, continue to Kuthodaw Pagoda dubbed as “The World’s Biggest Book” for its collection of 729 marble slabs inscribed with Buddhist teachings. Directly south of Mandalay Hill, stands Kyauktawgyi Pagoda, with Great Marble Image. At the end of day tour, visit Shwenandaw Monastery, the Golden Monastery. Proceed to Sagaing Hill where 600 ivory colored pagodas and monasteries can be seen as the spiritual hub of Myanmar and residence to around 3,000 monks. We can also visit pagodas such as Swan Oo Pon Nya Shin, U Min Thone Sae and Shwe Taung Oo Maw. On way back have a relaxed Boat Ride for an hour to reach Mingun to see the construction of an enormous brick building which was halted after a fortune-teller predicted the King’s death upon completion. An earthquake in 1839, split the monument and reduced it to partial rubble – it’s possibly the world’s largest pile of bricks. Later hop on over to the Mingun Bell that weighs 90 tons and is claimed to be the world’s largest bell, Continue your exploration to see the gorgeous alabaster Hsinbyume Pagoda. Morning fly by YH 917 to Heho. Proceed to Nyaung Shwe, gateway village to Inle Lake. Travel by private Boat to our Hotel in Inle Lake enroute we will pass several villages that are built on stilts over the lake, which are inhabited by the local Intha people. 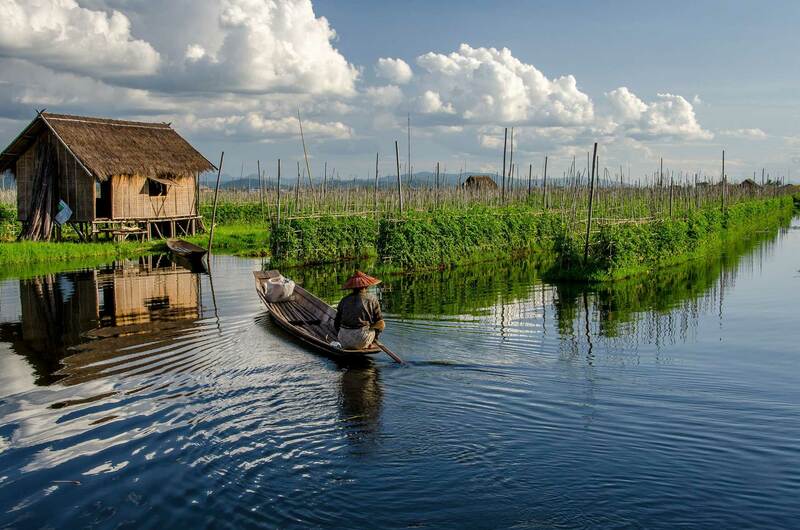 Observe the daily activities of the local leg-rowing fishermen and see their ‘floating gardens’, which are built up from strips of water hyacinth, earth and anchored to the bottom of the lake with bamboo poles. Later visit Nga Hpe Chaung Monastery, which houses loads of early Shan Buddha Images known for its ‘jumping cats’ in the past. In the afternoon proceed to the Phaung Daw Oo Pagoda and later visit some of the craft houses known for woven items from lotus silk, boat builders (depending on the time of year), a cigar making workshop, blacksmiths or even silver smiths. Visit the Morning Market of Lake’s Residents. 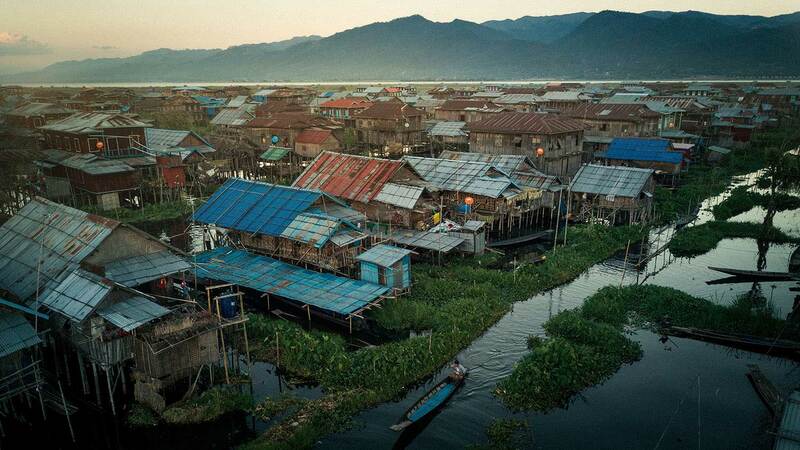 Then proceed to the Pa-Oh village of Indein, positioned on the western shores of Inle Lake. later stop at the Inthar Heritage House to learn more about the history and culture of the lake’s indigenous people and enjoy a delicious coffee and cake, later back to hotel. Morning proceed to Heho Airport to catch our flight to Yangon. After Lunch explore the Bogyoke market, also known as the “Scott Market”. 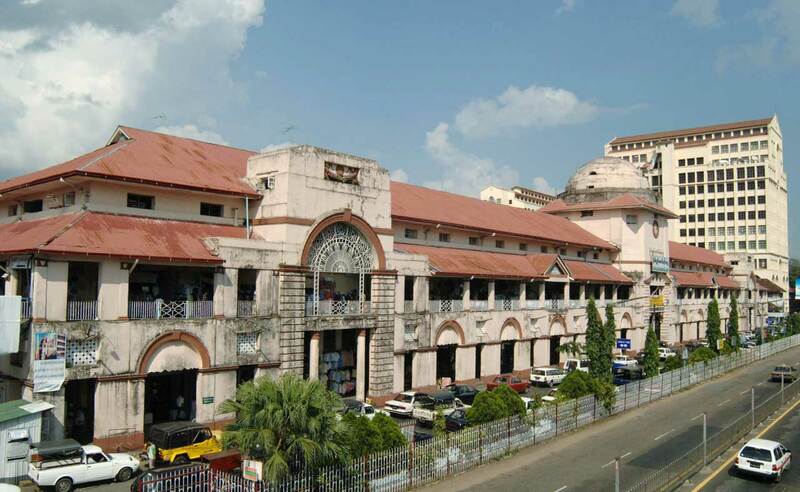 You will have time to buy your last souvenirs and browse the busy aisles with shelves filled with various handicrafts.